Buying something for your geek boyfriend might prove difficult, especially since he probably already has all the cool gadgets in the world. But you need to think beyond that and buy something extremely cool and completely unexpected like the gifts bellow. Any geeky guy will be impressed by comic books. 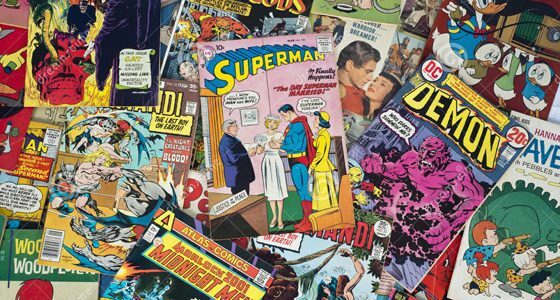 Most of them love comic books since they were children and already probably have a big collection of those. But you won’t buy any comic book, you will buy a rare comic book. You don’t have to buy one that is worth thousands of dollars, but you can definitely buy something that has a higher price and you know he will never buy on his own. Something really vintage and rare can even be found in thrift shops for smaller prices. Your guy will probably be amazed and shocked by this great gift. If you want to invest a lot of money in his gift, a geek’s dream is a telescope. You can buy one with more of his friends because telescopes tend to get extremely pricey, especially if you want something high quality. If they have a passion for astronomy or physics, this gift will totally blow their mind. Most geeks spend a lot of time on the internet and probably have Facebook accounts. If your geek has a thing for Facebook and spends way too much time there, why not help him express himself in real life in the same manner? This can be easily done by simply buying stamps that resemble the Like button and he will definitely stamp you when he receives this cool gift. There is even a Dislike button for those times when something doesn’t go the way they want to. Something that will completely impress the geek guy is the IPad Tabletop Arcade Cabinet. If they love the vintage Arcade machines because it remembers them of their childhood that was spent playing all those cool games, they will be thrilled about this. This helps them access games through their iPad via apps wirelessly through the Arcade’s controls, giving them the real feel. There’s nothing cooler than this and they can also use it as a group activity that everybody will enjoy.